Human beings are designed in such a way that they are in constant need of love, care as well as affection during all times in their lives. This is the reason why we seek for companionship at each and every point in our life. We make friends and maintain a closely knit relationship with them because friends not only take away the feeling of void from your life; rather they also make us feel secure and accompanied as an individual. We have seen friendships going on for several years and sometimes even for a lifetime with people constantly taking care of each other and maintaining a bond based on trust and care. Friendship is considered to be a true blessing for everyone and a person with good friends will have a support system for sharing each and every moment of their life whether it is happy or sad. Friends are an extremely important part of our life and everyone feels the need for a companion at some point or the other in their life. Especially for people living away from their homes, friends are nothing short of their family. They are the ones you can run up to in times of any crisis as well as during the happy moments of your life. Friends are our secret keepers with whom we can share everything without the fear of being judged. The world might go through a tremendous change but friends are the people we can rely on no matter what. 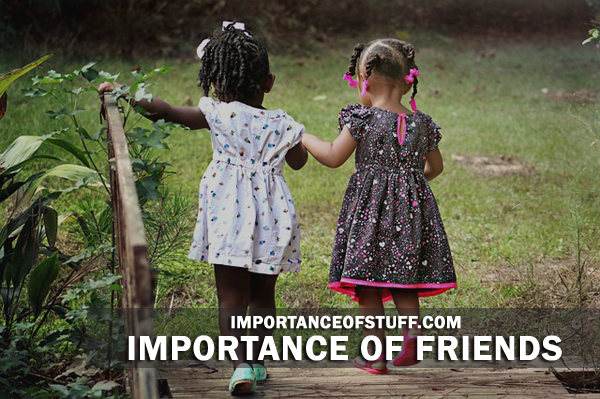 Often known as “siblings from different mothers,” friends keep us grounded as well as also help us retain the child in us no matter how old we get or how busy we are in leading our professional as well as personal lives. At times, we may come across situations where we doubt our decisions as well as capabilities. In situations like these, friends help us by providing us with a reality check. They never let us down and stand besides us like a rock while we are in the midst of tackling the most drastic adversaries in our lives. True friends show faith in us and also make us believe in our capabilities keeping aside all negative feelings of jealousy, agony and hatred. Friends comfort us in hours of need! They simply do not care if the fault is yours or not, they will stand by you during all times and come what may, they will never stop defending you or putting their trust in you. They could have seen us in the ugliest of situations and appearances and they simply do not care about these things and still decide to stick by us through every thick and thin. Not only this, it can be depressing for each one of us to live alone at times. In such testing times, friends become our ultimate support system and they are our cure for loneliness and depression. Receiving those late night calls, sitting together on the same benches in classroom and always keeping each others’ back, friends are everything that we need for making our lives beautiful and content. I HAVE NO WORDS TO EXPRESS MY FEELINGS! That is the WORST essay in the world!